The 10 Best Bakeries in Utah! Utah may not be a renowned mecca for the art of pastry, but that doesn’t mean the state is lacking in quality baked goods. Utahans love their sugar, so if you’re looking to please a seemingly insatiable sweet tooth, the Beehive State might be the perfect place for you. The following 10 bakeries are some of the best that Utah has to offer. A bakery largely in the French tradition, Les Madeleines in Salt Lake City is best known for its kouign-amann: a buttery, flaky pastry from France. Les Madeleines recipe is so popular that it’s been featured on The Food Network and was named 2012 Pastry of the Year by Food & Wine. Needless to say, this place is definitely worth a visit. Revitalized in recent years, the Provo Bakery is a humble hole-in-the-wall joint. Its frosted sugar cookies and buttermilk bars however? Far from humble. The winner of Food Network’s “Cake Wars,” The Mighty Baker is an up-and-coming name in the world of Utah baked goods. Its cookies and macarons are especially delightful, though its personal berry cheesecakes are also worth a try. Gourmandise is a Salt Lake City establishment, and for good reason. 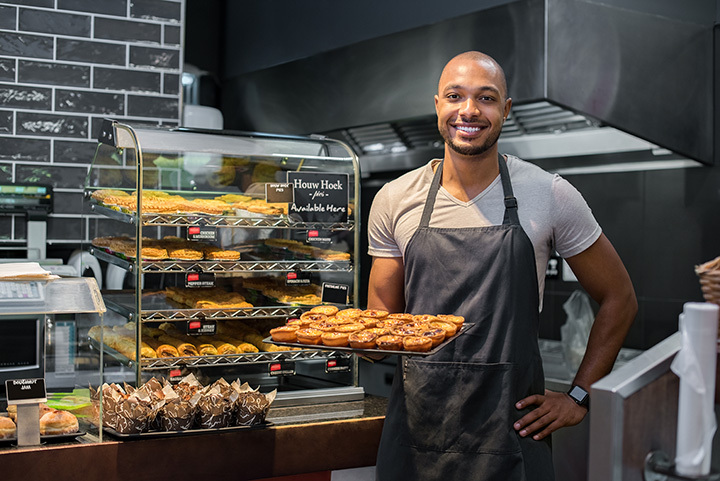 Not only does the bakery offer a wide range of delicious European pastries and desserts, but the classy ambience and meal options keep customers coming back. Banbury Cross is definitely for donut lovers, though muffins, cinnamon rolls, apple fritters and other spectacular treats are also available. A wide range of donut flavors (including varieties such as cake, crumb, raised, etc.) means this bakery never gets old. Eva’s Bakery is a quaint little place for those who want to feel like they’re at a Parisian patisserie, though it’s smack dab in the middle of Salt Lake City. In addition to European-inspired baked goods, the breakfast menu boasts a popular stuffed French toast and Quiche Lorraine. Even though Kneader’s Bakery is now pretty much ubiquitous in Utah, it started as a single bakery in Provo, Utah. Ample growth and the quality is still top-notch. Carrot cake, scrumptious sandwiches, soup, or all-you-can-eat French toast—this place pleases the pickiest of eaters. Right next to Salt Lake City’s famous Caputo’s Italian deli, Carlucci’s Bakery serves pastries and cakes in addition to delectable breakfast options. Order anything here and odds are, you won’t be disappointed. Unusually flavored donuts aren’t so unusual these days, and Beyond Glaze in Draper, Utah, reminds us why our donut tastes have evolved. Try their caramel apple donut, peanut butter swirl donut or key lime crumble donut for a unique, sweet experience. With a slightly strange name, Fillings and Emulsions in Salt Lake City also has a bunch of bizarre things to try. Macabons (ice cream sandwiches with traditional French macarons) and meat pies are some of this joint’s most popular menu items.